I know, I know. It’s hard to eat breakfast when you want to squeeze out that extra 5 minutes of sleep before having to rush off to work. And no, you don’t need to eat breakfast every day if you don’t want to. But, if you decide to eat breakfast as most people do, then here are a few great options. Beat those egg whites in a bowl and add in the diced chili peppers. Then, heat an omelette pan for about 30 seconds. Rub some oil or butter (I choose coconut oil, but remember I went over the best cooking oils, so you can pick your favorite). Now pour the egg mixture into the pan, and as the egg whites begin to firm up, add in the turkey and yellow bell peppers. Once the egg mixture is holding together well and is looking to get a little thick, go ahead and fold the omelette over the center. Slide it off onto a plate, and sprinkle the sesame seeds on top. Eat that bad boy with a slice of whole grain toast, and a mug of green tea. Now, consume with joy, and prepare thyself for the smashing of the day to come! 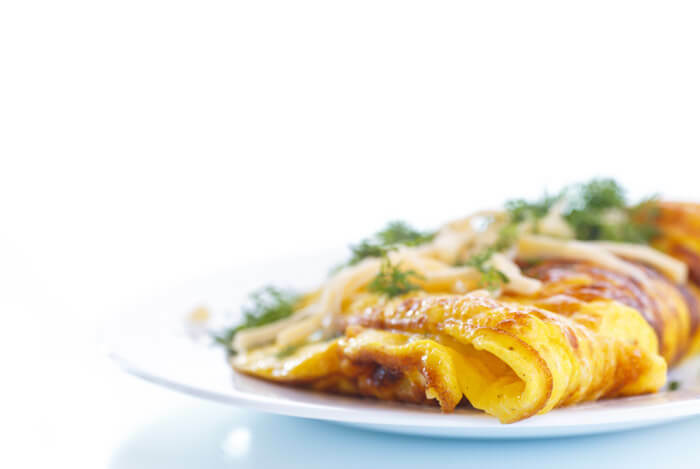 I’ll be going over the specific benefits of each of the ingredients to explain exactly why this simple omelette is so awesome for you. 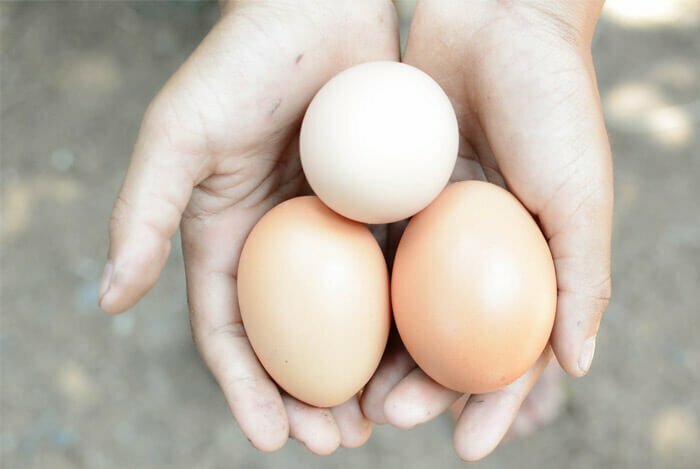 I mentioned that whole eggs have loads of benefits including six different vitamins in my article about the biggest bang for your buck nutritious foods. According to the U.S. Department of Agriculture, a single large egg white has only 17 calories, no cholesterol, and about 3.5 grams of protein. 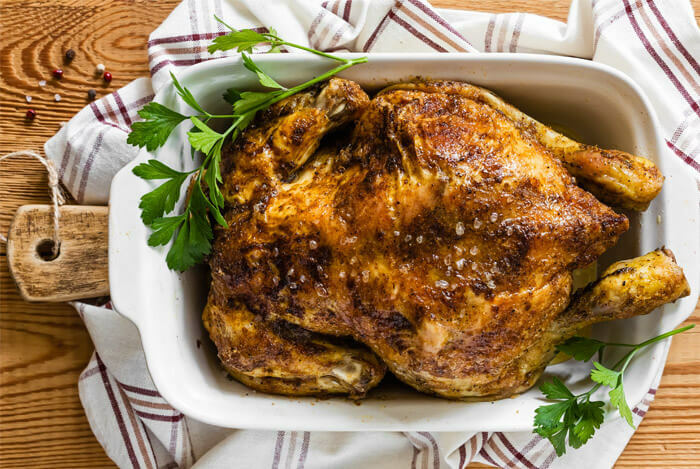 A study posted in the American Society for Clinical Nutrition showed that diets high in protein reduce appetite compared to diets lower in protein. So it is important to make sure you are getting adequate protein in your diet. 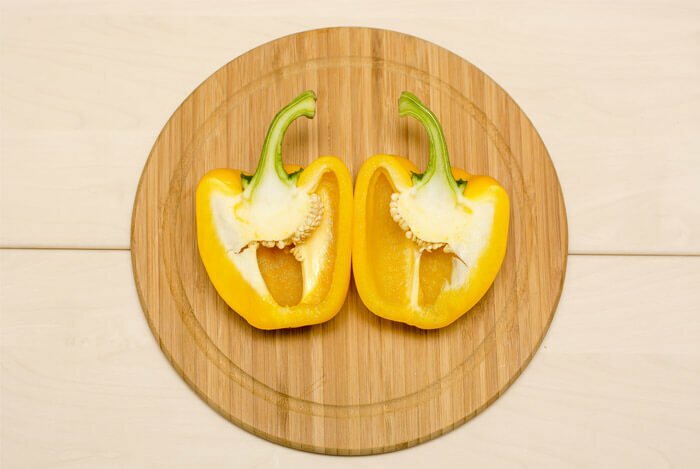 Yellow bell peppers, compared to their green siblings, contain much higher levels of vitamin C.
Similar to eggs, lean meats are packed with protein. Not to mention that lean meats are packed with B vitamins and minerals. Well since we’re talking about turkey in our omelette, 100 grams, or a little less than half a cup, has about 29 grams of protein. 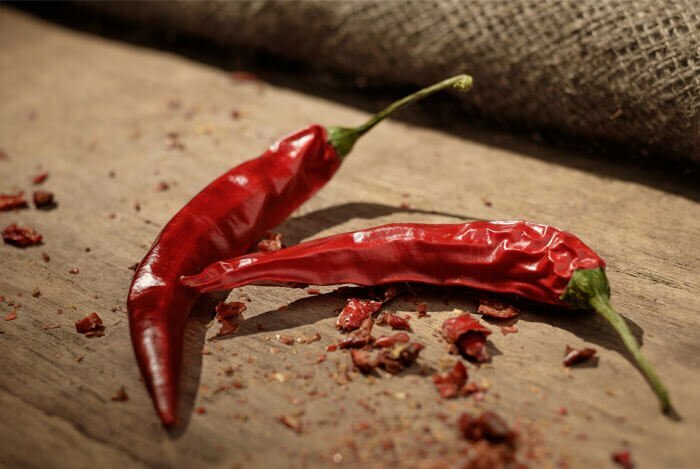 Instead of dashing on that Tabasco or some other salt packed hot sauce, just dice up some chili peppers and throw them into the omelette mix. Make sure though to adjust it to your taste because these babies pack quite a punch. We don’t want any burning mouth to ruin your morning. Another protein packed food that can help burn fat are seeds and nuts. 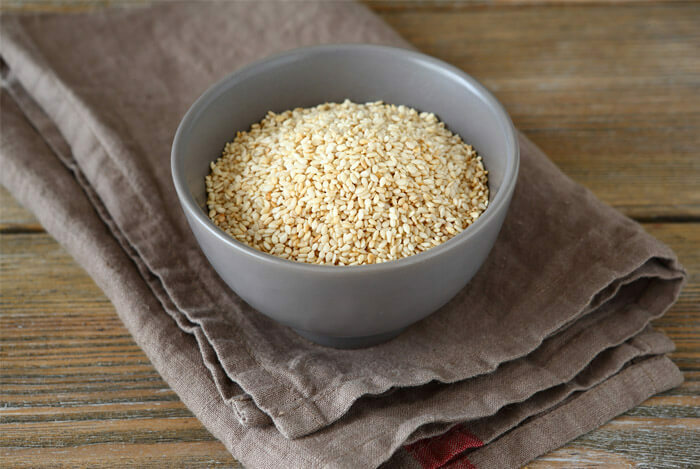 Many seeds and nuts are filled with protein, but for our purposes (the awesome omelette), we are going to focus on sesame seeds. Increasing dietary fiber is one of the most efficient ways to promote satiety. 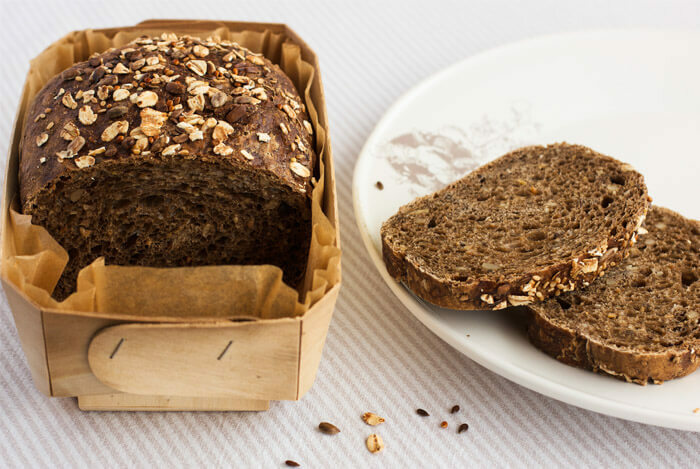 If you eat more fiber, you’ll be less hungry. I know the omelette is really simple, but it’s a great option when you want a substantial breakfast. What’s your take on this healthy breakfast? Have anything else you’d like to share? Let me know in the comments below!